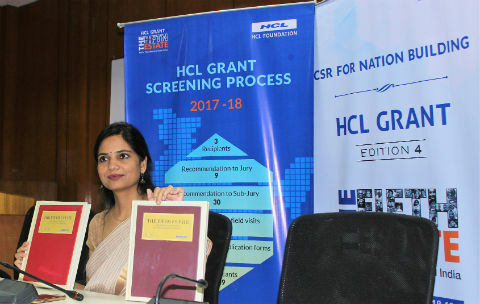 Hyderabad: HCL Foundation, the CSR arm of HCL Technologies today hosted the first symposium in the series at Hyderabad at Institute of Public enterprise, Osmania University. The day-long event was attended by eminent personalities such as, C Ramakrishna, Executive General, Association of Management Development Institutions in South Asia (AMDISA), Prof. Narendranath Menon, Senior Professor, Institute of Public Enterprise (IPE), Prof. R R Prasad, Former Professor, National Institute of Rural Development (NIRD) and Ms. Dipak Gala, Senior Editor. NGO’s working in the areas of health, environment, education etc attended the sessions and shared experiences and challenges. _________participants attended the event representing many parts of the state. The symposiums are part of capacity building initiatives that HCL Foundation started in 2017. In year one, 11 symposiums were held in cities like Kolkata, Mumbai, Patna, Raipur, Guwahati, Chandigarh, Imphal, Jaipur, Vijayawada and Bhubhaneshwar amongst other. As part of the capacity building initiatives, panel discussions and open house sessions were conducted with local NGO representatives and civil society experts on themes such as – Strategizing CSR to achieve Sustainable Development Goals: Global to Local and Challenges and Opportunities for local area development: Education, Health & Environment. The Symposiums will also be held in 11 other locations namely – Jammu, Pune, Bhopal, Ranchi, Coimbatore, Udaipur, Vadodara, Dehradun, Bengaluru, New Delhi and Itanagar. Started in 2015, the HCL Grant is a Corporate Social Responsibility (CSR) commitment by HCL, through HCL Foundation (hyperlink), to strengthen and empower NGOs, engage with them, as well as recognize them for their path breaking work. Currently focused at rural development, the HCL Grant is awarded in three thematic categories, namely Environment, Health and Education. The Grant is designed to support breakthrough award winning projects to NGOs, that have a proven track record of evident impact, high credibility and distinct ability to deliver. 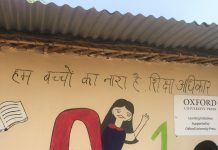 NGOs that reach out to marginalized, isolated, underserved and underdeveloped rural communities in India, and work jointly to achieve sustainable socio-economic development. In its 4th year now, HCL Grant has opened application for HCL Grant 2019. The last date to submit entries is June 4th 2018. The third edition of HCL Grant witnessed an overwhelming response from the participants and it received 3449 entries in all three categories from across the country, representing almost every Indian state, as well as union territories. Through edition 4, the HCL Grant envisions to identify another set of NGOs doing phenomenal work. Through HCL Grant, HCL Foundation will award up to ₹ 5 Crores ($0.8Million) per category, per NGO, against a well-defined 5 years’ project. HCL Grant, through Edition I, II & III has already committed ₹ 35 Crore (US$5.4Million) towards high quality projects in the years 2015-16, 16-17 & 17-18. Through this commitment, the HCL Grant supported projects selected during Edition 1, 2 & 3 aim to cover 8,09,906 people in 3,567 villages in 26 districts across 12 states of India. These projects are already operational in the states of Bihar, Uttar Pradesh, Rajasthan, Gujarat, West Bengal, Karnataka, Andhra Pradesh, Odisha, Jharkhand, Maharashtra, Tamil Nadu and Nagaland. The first three editions of HCL Grant have been endorsed by senior most leadership of the country, Former President of India, Mr. Pranab Mukherjee, Honorable Minister of Finance and Corporate Affairs, Mr. Arun Jaitely and Honorable Home Minister, Mr. Rajnath Singh who felicitated the recipients and complimented HCL on the institutionalization of a mechanism for Corporate Social Responsibility through CSR.